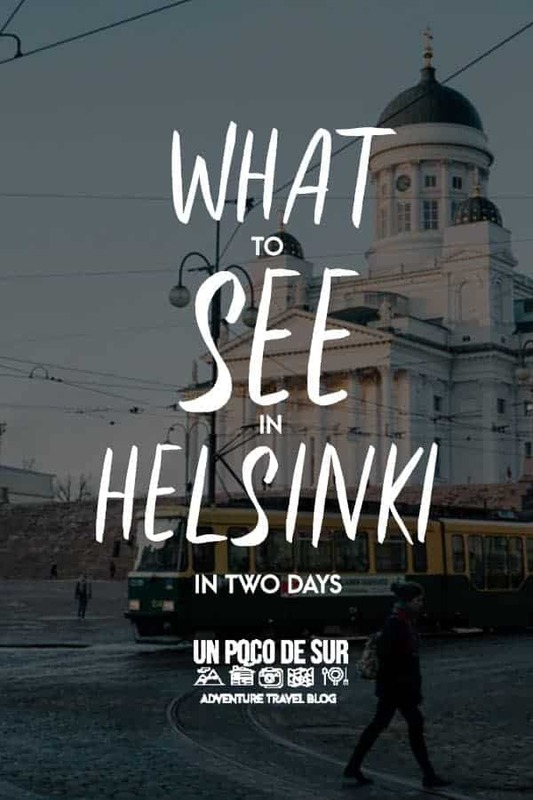 It’s time to continue with the guides of European cities which we have been visiting over the last few months, Helsinki has been one of them and we could not forget the beautiful Finnish capital, weirdly, no many travel blogs mention. We were in Helsinki in fact 4 days but a couple of them busy at conferences so we did not have enough time to visit more places, especially those found outside the city that in less than one day can be great destinations to disconnect and learn a little more about the country’s culture. The connection is great, there is a direct train that goes from the city centre to the airport, in fact, there are two since is a circular train – so every 10 minutes you have trains connecting both destinations. 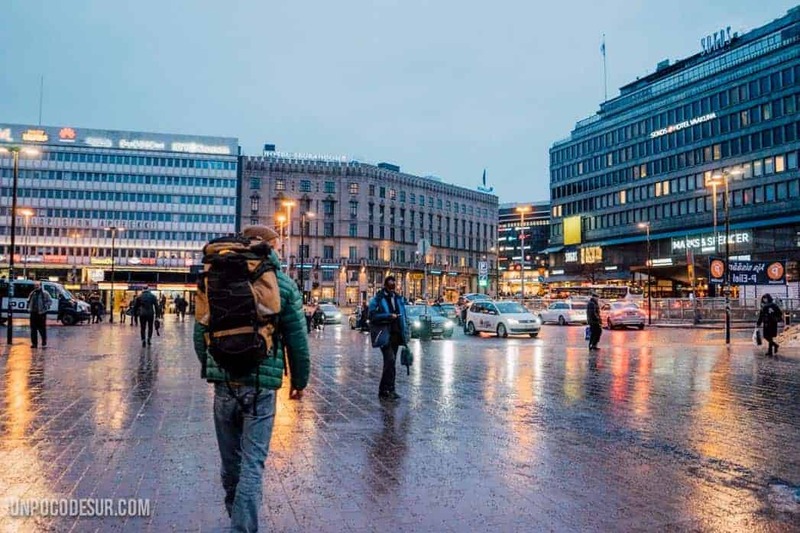 It takes about 30 minutes between the airport train station and the Helsinki Central Station. The train costs 5 € if you buy from the airport and 5,50 € if you buy from the city, we still do not know why but we had to make the journey more than twice so we are clear about this. Tickets are purchased before starting the walk to the train (before leaving the airport) you can even buy them at the baggage claim. And at the central station in any ticket vending machine. Helsinki is small, walking is possible to reach almost all destination. There is only one metro line (and we never needed it) and the trams move around every corner of the city. Public Transport in the city is not exactly cheap so if you have time and you want to save money just walk. On the other hand if you have 2 days and you want to get the most out of the city, I recommend buying an integrated card. Simple Ticket: 2,90 € when purchased from the machine, 3,20 € when purchased directly on the bus. Helsinki is not a common tourist destination, which makes it especially interesting for us. You will not find hordes of tourists everywhere, even in the most visited points the influx of people is quite normal. We visited Helsinki in winter and we do not regret it. Yeah, sure, everything with a ray of sunshine is much better, but what a better plan than to visit the winter country in its most striking time? We leave you with some of the plans we recommend to enjoy the city in two or three days. Let’s start with a few more common for a first day and two different plans for the second day. 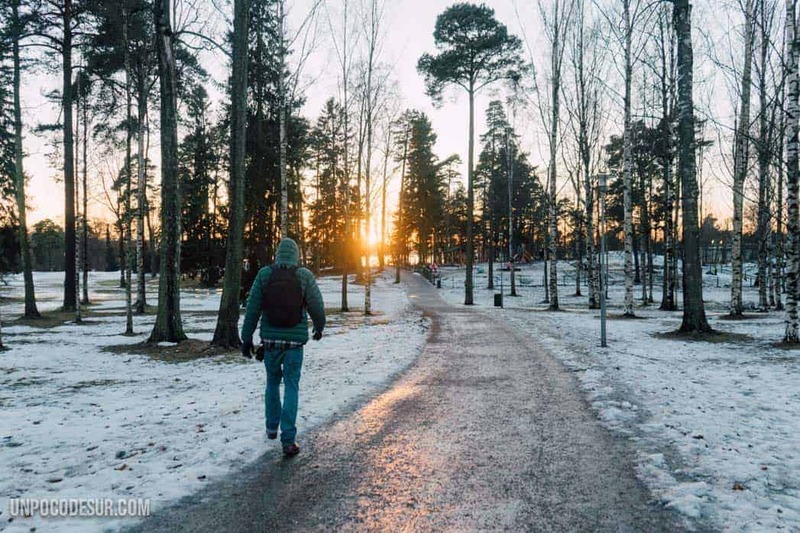 *If you want to continue exploring Finland check out Oulu and Syöte, snow at its purest shape. The church dates back to 1852 and was built as a tribute to Tsar Nicholas I of Russia. Yes, the country’s history has a lot to do with the Russian as they have crashed in several occasions and in fact, it was not until 1917 when Finland declared its independence from the Russian Empire. 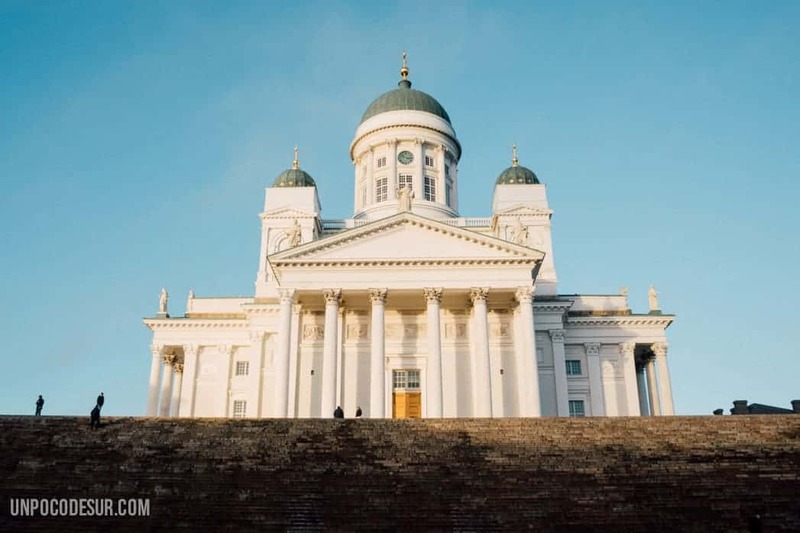 Helsinki’s cathedral is considered to be the little sister of st. Petersburg st. Petersburg Cathedra. In fact, if you are a bit curious we recommend you to look for a picture to see the huge similarity. The interior of the building is extremely austere but you can visit it for free if you are interested. A few metres from the Senate Square, you will find the market square. In summer you can enjoy an outdoor fish market and throughout the year it is possible to visit the oldest city market in the city dating from 1888. If you are interested in the markets you can also visit Hakaniemi market (located in the neighbourhood of the same name) built in 1914. 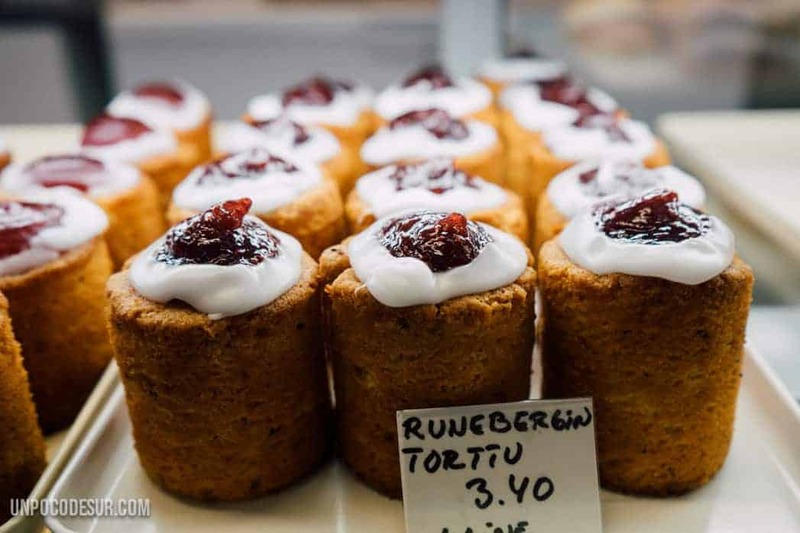 The market of Hakaniemi is slightly different from the central since it has two floors; in the first you can Find all kinds of local food and the second design shops or coffee stops. 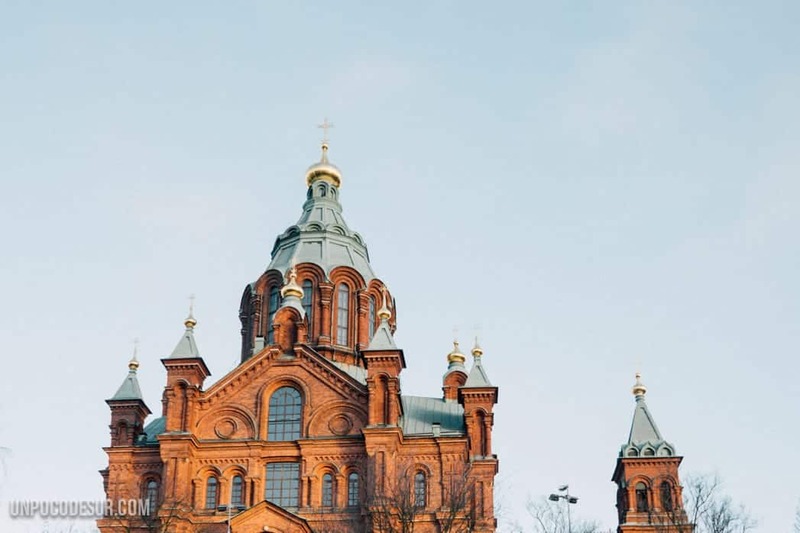 Another of the most striking buildings in the city is another church, in this case the Orthodox Cathedral of Uspensky which crowns a hill visible from the market square and shines with special light during the sunset thanks to its red bricks. The Cathedral was completed in 1868 and, as in the previous church of the list, there is also an important connection to Russia that can be found on the commemorative plaque to Alexander II. As a curiosity, it is the largest Orthodox Cathedral in Western Europe. Stepping out a bit of the center we can take the tram number 4 we go to Töölö neighborhood where we’ll find the last two stops the day. Another church, yes, yes, it seems boring, but this one also has something particular – in fact very particular – and it is the fact that it was built on a solid rock. 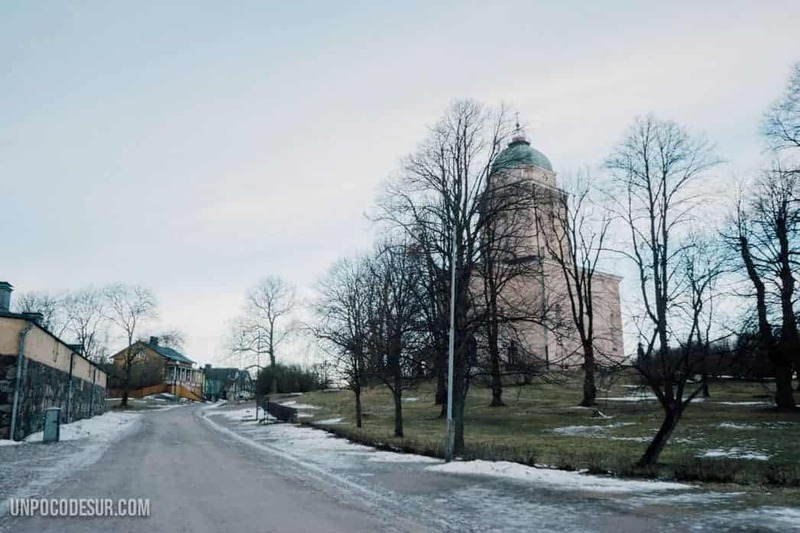 The Church on the rock is not especially old since its construction was finished only in 1969 after a thousand attempts to build a church for the neighbourhood that ended in abandoned competitions or in the middle of a war. Sorry, we don’t have a picture because we’re a mess sometimes and the camera had no battery, but it’s really awesome. 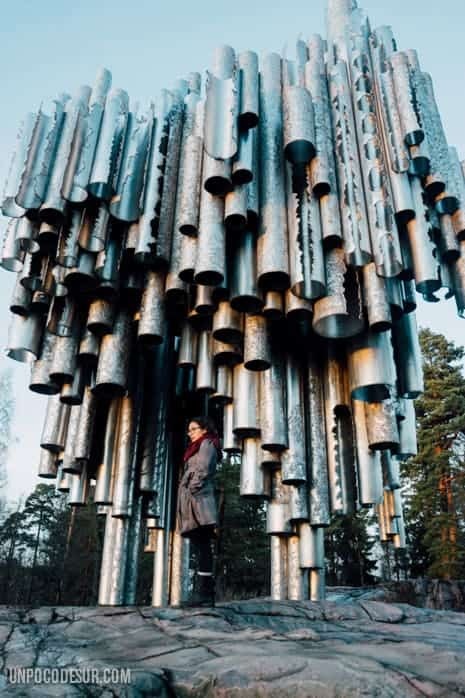 Both the park and the monument take their name In honour of Jean Sibelius, also located in the Töölö neighbourhood. Sibelius is a world-class composer and his name has given life to all kinds of tools that we still use today (i’m sure if you have ever used the video editor Avid you can recall the name). In addition to being recognized for his musical contribution, he is loved and appreciated in the country as his music is considered to help create Finnish identity after Russia’s independence. 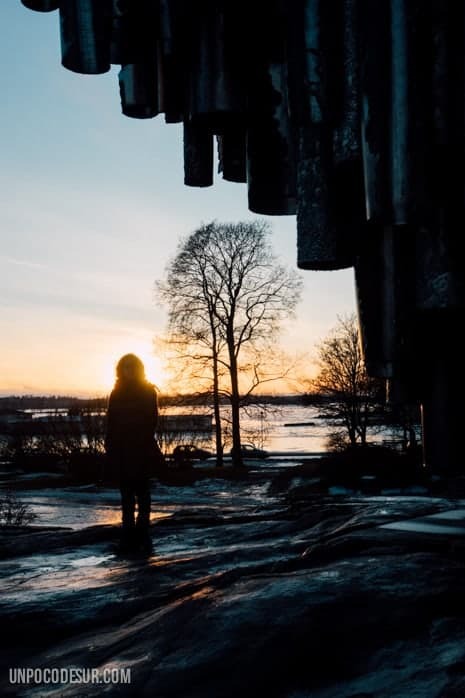 The Monument is a work of Eila Hiltunen and dates from 1967, consists of more than 600 Tubes forged together with the intention of simulating an organ, and is located in the middle of a green area offering great views at the time of the Sunset. Okay, now we go for things a little less common that need a few hours, they are perfect for a second day (or a third if the first two are calm). In the area of the archipelago, we can find an interesting destination for those who have already covered the rest of the city. There is a fortress island with a living story. Suomenlinna is a currently inhabited fortress and consists of a total of 6 Islands, the inhabitants of Suomenlinna are actually inhabitants of Helsinki as it is a district more of the city. 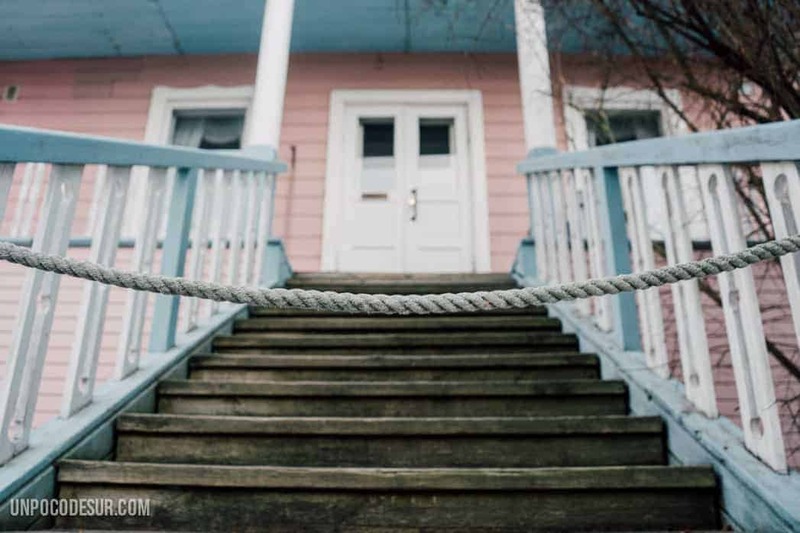 These small islands are the perfect example of the country’s history as they have been present with all their rulers and have played an important role for each one of them. When this territory belonged to the Swedish Crown, construction of the fortress began in 1748, and its main function was the protection of the growing Russian Empire. However, in which it is known as the Finnish war (between Sweden and Russia) the fortress surrendered to the Russian army in 1808. The reasons for surrender are not clear, some claim possible corruption, the general who gave the order was never accepted or forgiven by the rest of the soldiers. In 1809 the territory of Finland was ceded to Russia and became a grand duchy more within the Russian Empire After 7 centuries of Swedish control. It is possible to visit the islands on a ferry, part of the public transport system. The ticket costs 5 € per route, the ferry leaves every 20 minutes from the port (in the market square). Attention, if you have an integrated transport card (1 day or more) the price is included. If there is something that cannot be forgotten in Finland it is the sauna, there are almost 3 million saunas in a country with just 5 million inhabitants. The sauna is a BIG part of the popular culture and is booming. 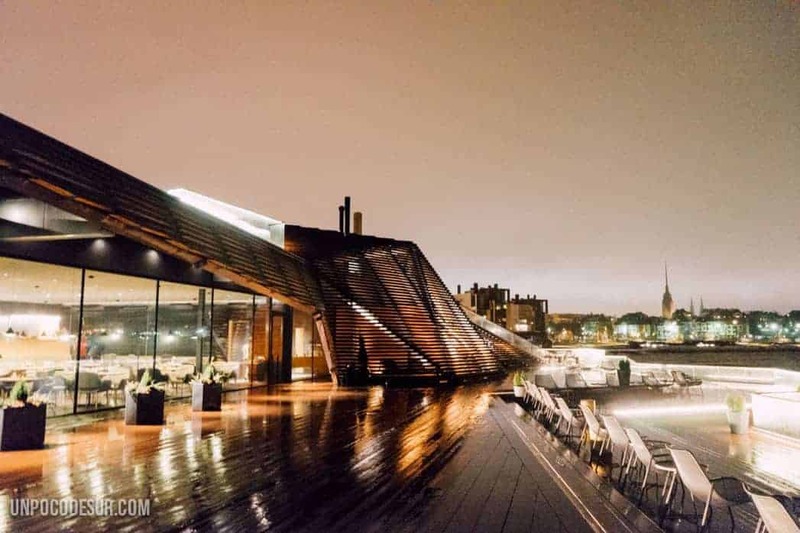 With the interest of rescuing public saunas and accommodating them in the modern world, Löyly was born, an amazing architectural work that hosts one of the most luxurious public saunas in the city. Löyly is a mixed concept, in the building, it is also possible to enjoy a complete evening with a dinner, served by one of the best chefs in the country in a unique environment with organic and seasonal products, but we will speak in another article about where to eat In the city. The Complex has 4 rooms, the most striking is the smoke sauna, a special type of sauna without a fireplace. To warm the room up they will burn wood in a long stove while completely closed letting the smoke invade The room for hours. Once a suitable temperature is found, the smoke is ventilated and the heat is maintained for several hours keeping that smoked particular smell. In addition, just after leaving your sauna you will be able to go directly to bathe in the Gulf of Finland, a few stairs down allow direct access to the freezing water to meet the requirements of a full sauna evening. The price includes towels, lockers and shampoo. It is possible to access saunas on Saturday morning from 7:30 am to 10 am and the price for 2 and a half is 19 € per person. How about the tour? The truth is that without any expectations we enjoyed a lot the city and in general the country, no doubt a recommended visit. Anything you want to add? If you liked it share!